Chaos Created has been busy developing new games and activities Australian teachers. These activities use Australian currency and allow pupils to tackle money problems and investigations using fun, highly-visual resources. Younger pupils can match and compare coins and amounts, and practise repeated addition. Older pupils can save pocket money to meet target amounts or split larger coins and notes to share out. 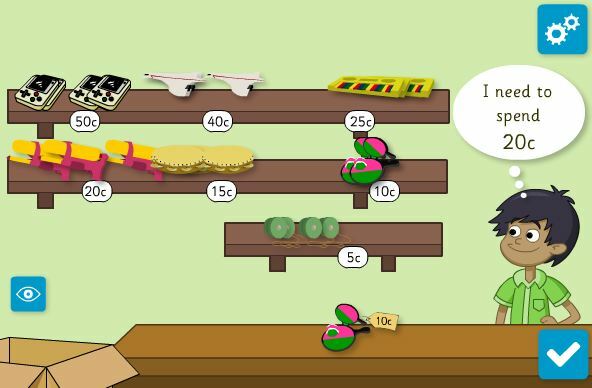 Our latest unit of work, Money and Shopping – Australian, is bursting with interactive tools and games, alongside differentiated worksheets, that support detailed lesson plans. The unit covers adding and counting on skills to make totals and to find differences, with an emphasis on investigation and exploration. Pupils try different coin combinations to decide which is ‘best’ and explore what can be bought within a budget. Chaos Created developed ten of the fifteen activities. Some of these are available free of charge and a six of them fall under the new iboard+ platform. Click here to take them for a spin.